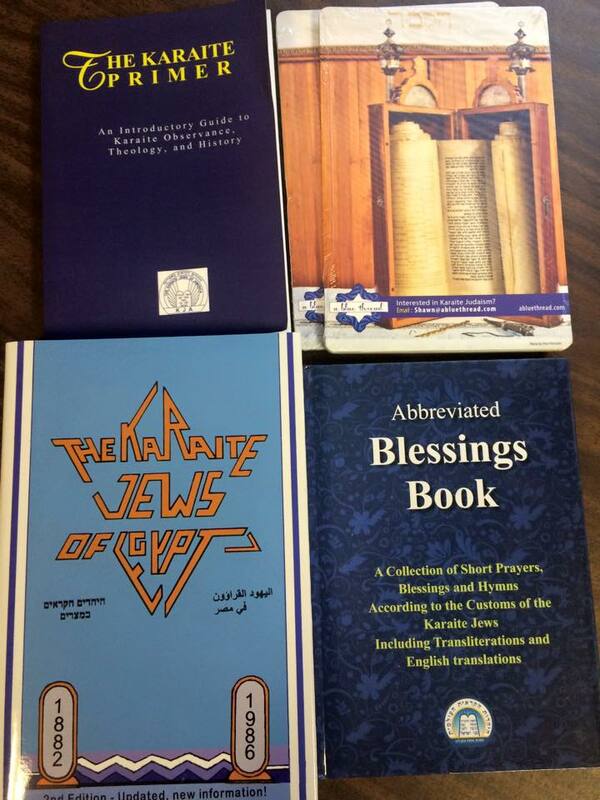 The Karaite Jews of America gave these goodies away to attendees at this year’s Shavuot celebration. For the past few months, the Karaite Jews of America has been busy planning its Shavuot extravaganza. This is the first time the KJA has done something like this; so no one knew quite what to expect. With 87% of precincts reporting, we can say with certainty that the event was an unqualified success. It was so successful that something peculiar happened to suggest that the final redemption may be near. Outgoing (Acting) Rav Joe Pessah was helping to coordinate services when a guest mentioned that he and his family were visiting from China. Yes. This family joined the KJA for Shavuot. From China. One *possible* translation of Eretz Sinim is the “Land of China.” Of course, the verse here probably is not referring to modern China. And I’m betting that Isaiah is not prophesying about people from all over the world arriving at the Karaite synagogue in Daly City, California. But I don’t know for sure; as of printing, Isaiah had not returned my call to comment on this story. But in any event, it was beautiful to see so many people at the synagogue. They came from far away: Los Angeles, San Diego, Boston, North Carolina, Oregon, British Columbia, and China. There was even someone from the historical Karaite community of Turkey. Other highlights from the weekend included (i) James Walker’s talk on how we got the Torah, which focused on the works of Josephus all the way through the Karaite Sages of the Middle Ages; (ii) Azriel Kowtek and Matthew Rolland teaching me how to tie tzitziot; and (iii) Ken Lane’s stirring Devar Torah on Parashat Yitro. I really do hope to see these distant visitors (and our locals as well) more often at the synagogue. For those who joined the KJA’s Shavuot celebration at the synagogue or who counted the omer with or without the assistance of the KJA’s app, thank you. And to everyone, Chag Sameach. The Karaite Primer became the Introduction to Karaite Judaism (available online). 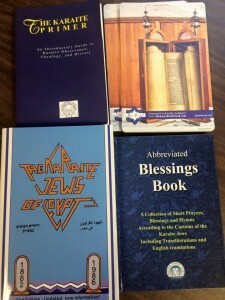 The Karaite Jews of Egypt is available, but expensive. The blessings book is not for sale. I am happy that your Shavuot conference was successful. And thank you for having us! And just a quick editorial note it is Rolland, with two Ls. Fixed. In life there are some mistakes that are easy to make. There are also some mistakes that are easy not to make. The key to crushing it is to take the time to avoid making the ones that are easy not to make. Apologies. Wow, that’s terrific, Shawn! May your community go from strength to strength, Be’Ezrat Hashem. Wow..I did not expect to see Ken Lane as He too was an example in His blog,as while Rachel from “A Jew trying to keep Torah” she too is an Karaite, in all in all it been a time to reflect on just how merciful the Most High has been in allowing us my wife and myself to really be blessed beyond our imagination. To just be standing before you and Ken Lane is like actually seeing all that has transpired to fully become a reality,before our own eyes, not knowing that we would all meet once again not through the internet…but before each other at Daly City in the Synagogue ! It justs goes to shows, how powerful prayers can be that comes from the heart, of which were lifted up before the Most high,just as I had asked you to keep us in His Hands,they were answered,all within His timing. Dale, do you have a link to Rachel’s blog?? The “Jew trying to keep Torah”?? We are the family from Shanghai, China that attended services for Shavuot. Also listening to James Walker’s talk was also very interesting and I noticed that we shared same views and thoughts in many aspects while listening to him. Impressive. A big thank you to the entire congregation and to all the ladies (and men) that prepared such delicious food. May YHWH bless you all. So I’ve been studying Judaism for quite some time and came to the realization that Karaism is the route I want to take in terms of conversion. The only problem is that I live in Louisiana and the KJU (or at least the online program) isn’t accepting students at the moment. My question to you is what are my options (if any) because it is my deepest desire to make my commitment to the Covenant of The God of Abraham, Isaac, and Jacob public and formal? The current recommendation is that you seek a Rabbinic conversion, and stay very close to us and learn through us. This is a sad state of affairs. But it is the surest way to do a formal conversion. I am hoping that we will have a formal way to convert and affiliate people in the future.